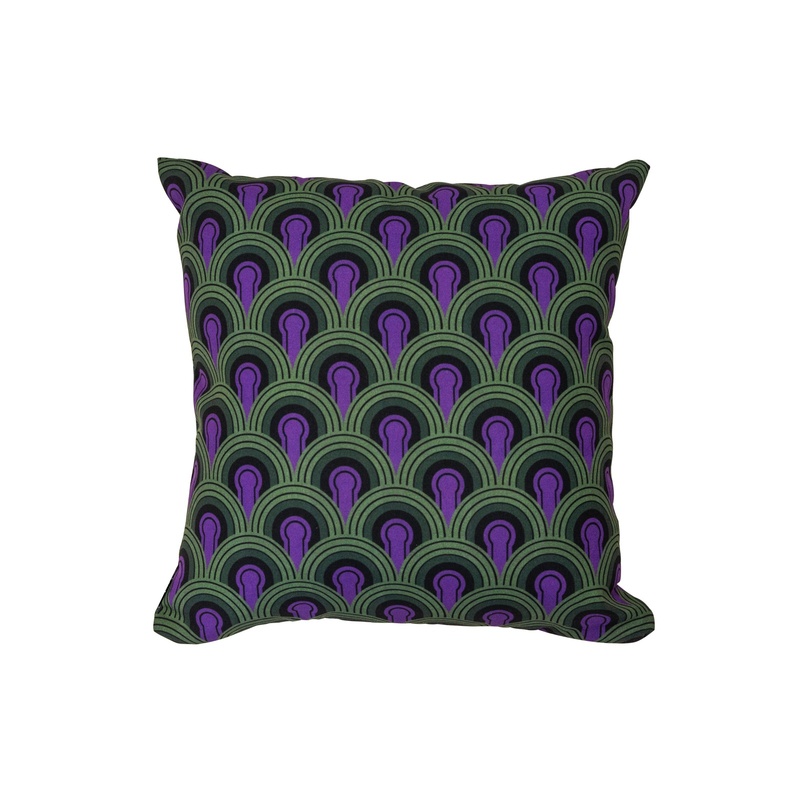 Home » Products » Blog » Design Inspiration » Don’t OVERLOOK Our New Throw Pillows! 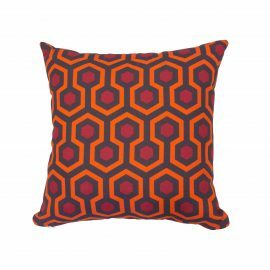 We’re THRILLED about our new Overlook Hotel Pillows inspired by the film, The Shining. If you know FormDecor, then you know we’re big film fanatics. 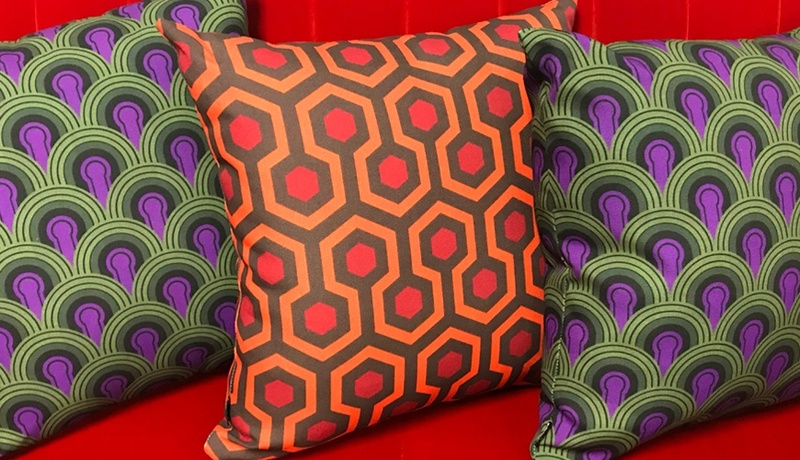 How could we pass up the opportunity to add some Kubrick flair to our design library? 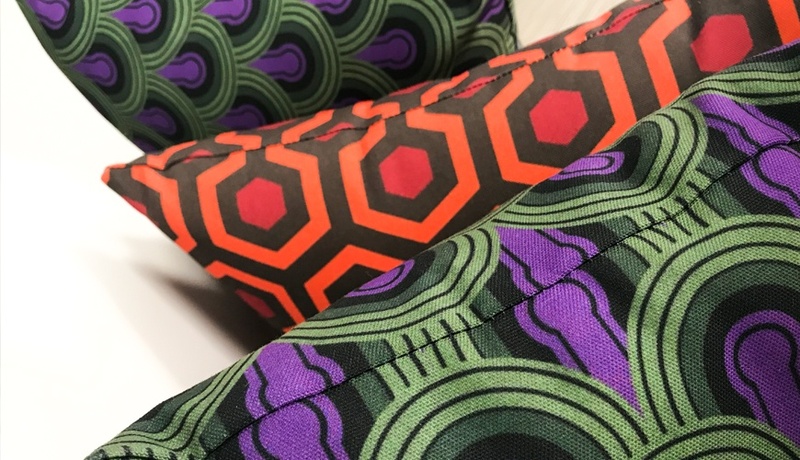 The “Overlook Hotel” Pillow and the “Room 237” Pillow are the perfect additions to any space with their bold, graphic patterns that are reminiscent of the Art Deco era, and are made with the iconic Overlook Hotel carpet in mind. 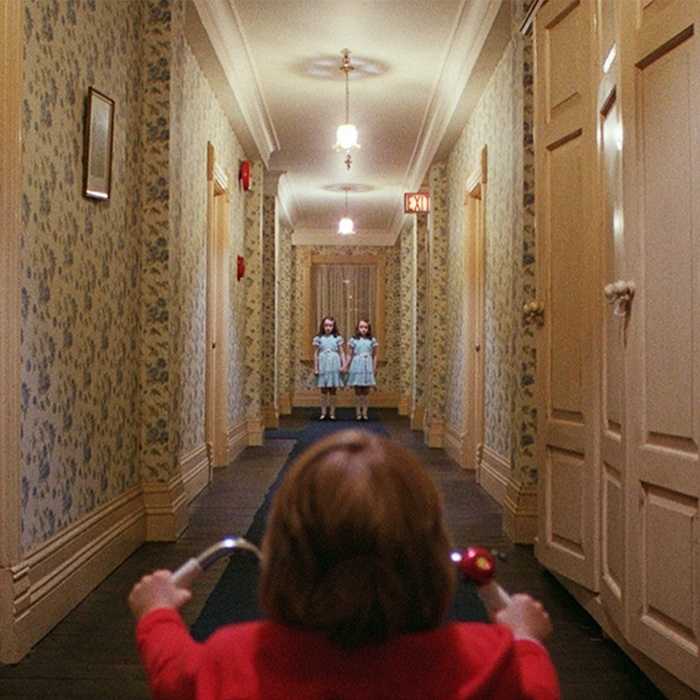 On our creative journey to find some Kubrickspiration, we stumbled upon a fascinating article about the Overlook Hotel carpet – That’s right, a whole article dedicated to the story of the Overlook Hotel carpet that can be seen in several scenes of the film, like the iconic scene of the little boy, Danny, riding his tricycle down the unsettling hotel hallways. 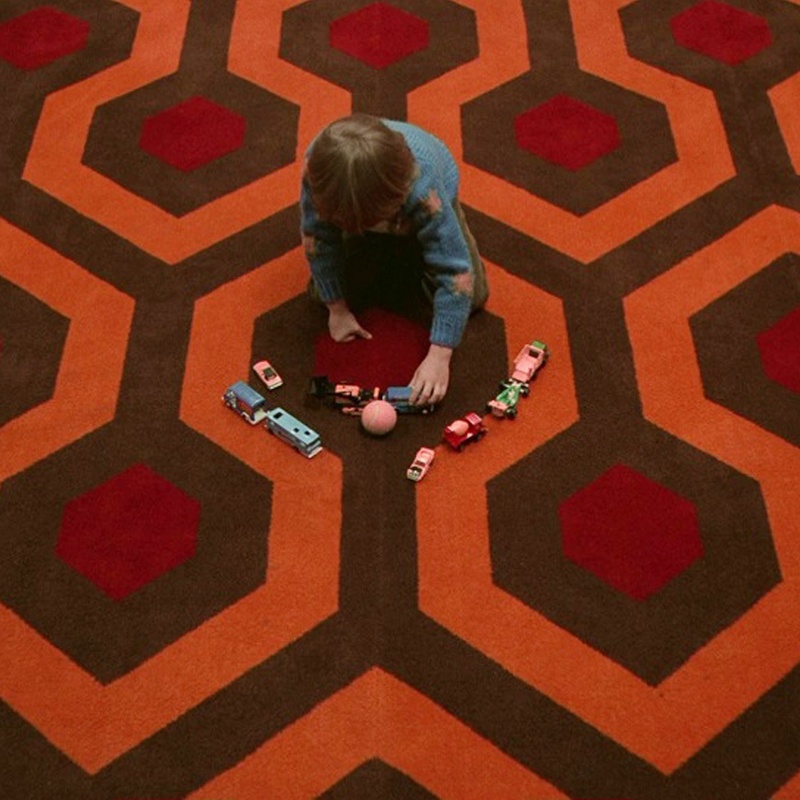 But what characteristics of this iconic carpet made it the perfect backdrop for this psychothriller? Perhaps it was the name of the hexagon pattern itself. Designed by Interior Designer David Hicks, the pattern was named Hicks’ Hexagon, which contains the word ‘hex’. Or could it be the symbolism of the hexagons shapes having 6 sides that may allude to the evil entity that possesses the main character, Jack Torrance, who is persuaded to bring harm upon his family? There are several theories about why the carpet was chosen for the movie set and it’s worth reading about. We’re just blown away by the detailed and intentional production design that the article suggests. 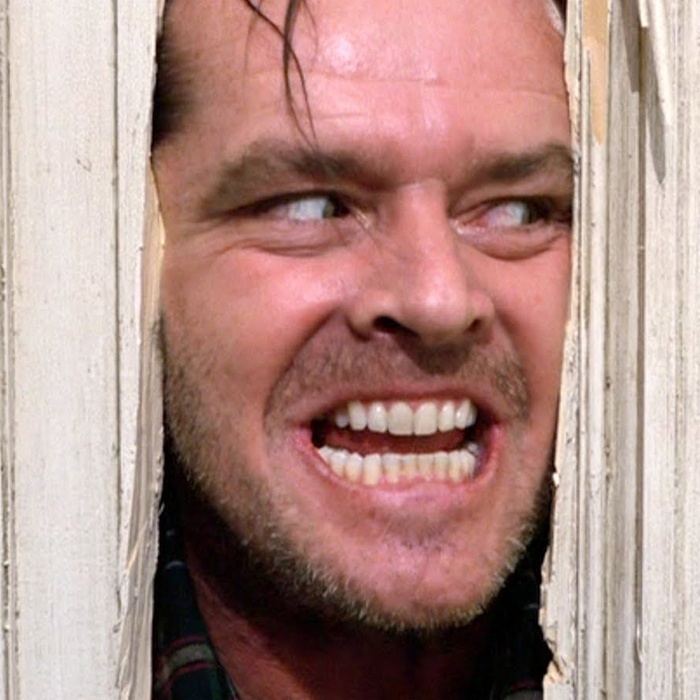 Although, being that The Shining was directed by Kubrick, we’re not the least bit surprised. 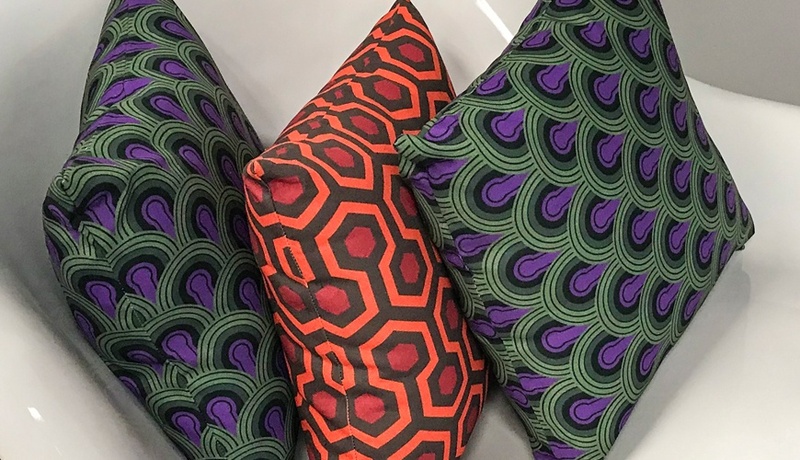 This entry was posted in What's New, Design Inspiration and tagged Mid Century, art deco, pillows, throw pillows, The Shining, Stanley Kubrick, Overlook Hotel, Stephen King. Bookmark the permalink.